Jason Kravitz (Brussels, Belgium) on 6 November 2004 in People & Portrait. 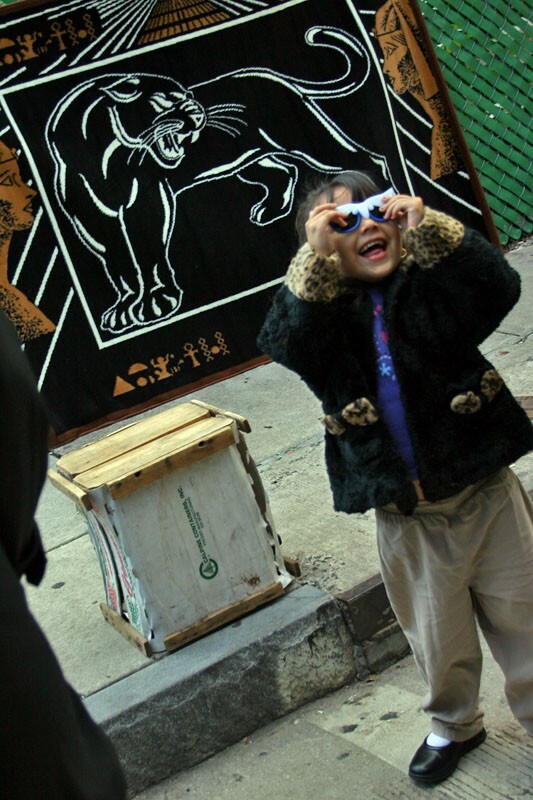 I took this street candid from the hip - that is I saw this cute young lady with her sunglasses and pointed my camera at her without looking in the viewfinder... it came out pretty good - I didn't even notice the black panther tapestry behind her till I looked at the picture. Wow, very nice candid pic ... all the elements are positioned well and you captured her expression at the perfect moment. Excellent technique, I think I will try this in the future. The black panther along with her expression make for a an interesting shot. Almost as if he is her "protector."